ATLAS Roofing Corporation is a customer-oriented manufacturer of residential and commercial building materials. CertainTeed is a North American manufacturer of building materials for roofing, trim, vinyl siding, railing, fence, decking, gypsum, insulation, and ceiling products. GAF has become North America's largest manufacturer of commercial and residential roofing, and is dedicated to supporting distributors and helping customers make the best and safest decisions when it comes to their roof. 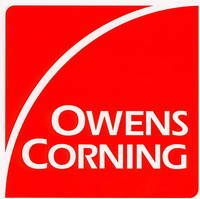 Owens Corning is made up of individuals that are dedicated to the innovation of glass fiber technology.